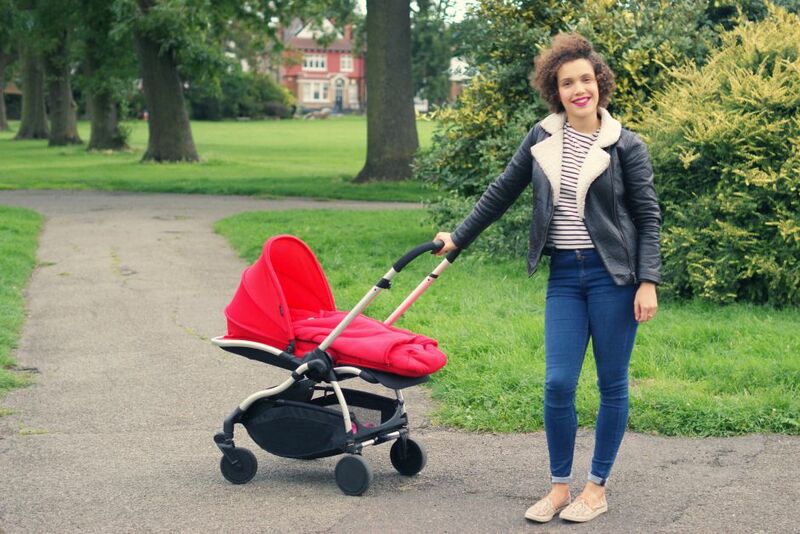 iCandy Raspberry: the perfect London buggy? Choosing a buggy is always a tricky business, as you often don’t know what you will like or need until it’s too late, and it’s an important decision because you spend so much time pushing the damn thing around! So when iCandy got in touch to ask if I wanted to review their Raspberry pushchair, I was pretty excited as I was on the hunt for a new buggy and the Raspberry is designed to be ‘the ultimate urban pushchair’. Like many new mums in London, I had a Bugaboo Bee when George was born and absolutely loved it, but it was borrowed from a friend and we’d recently returned it. 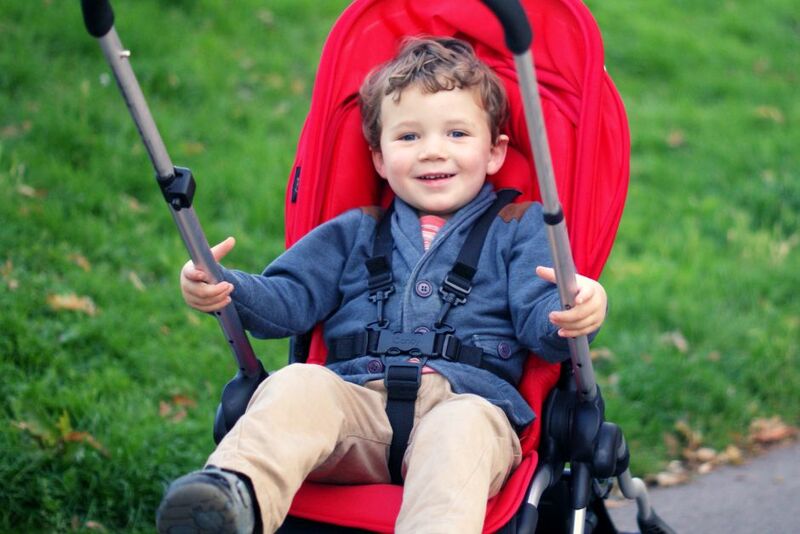 For me, the Raspberry ticks all the boxes for a London buggy: it’s small and light, which is essential for fitting onto busy buses and carrying up and down stairs on the Tube, and for wheeling into coffee shops without feeling too conspicuous. It’s easy to manoeuvre – even one-handed, while holding a coffee or wrangling a toddler – and there’s tonnes of storage. 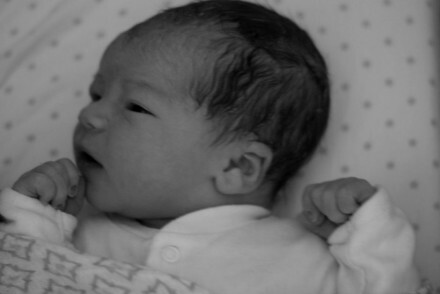 Another huge plus for me is that it’s suitable from birth – I’m not a fan of those bulky carrycot attachments that come with most buggies, especially as it’s another baby item to buy and then store afterwards. 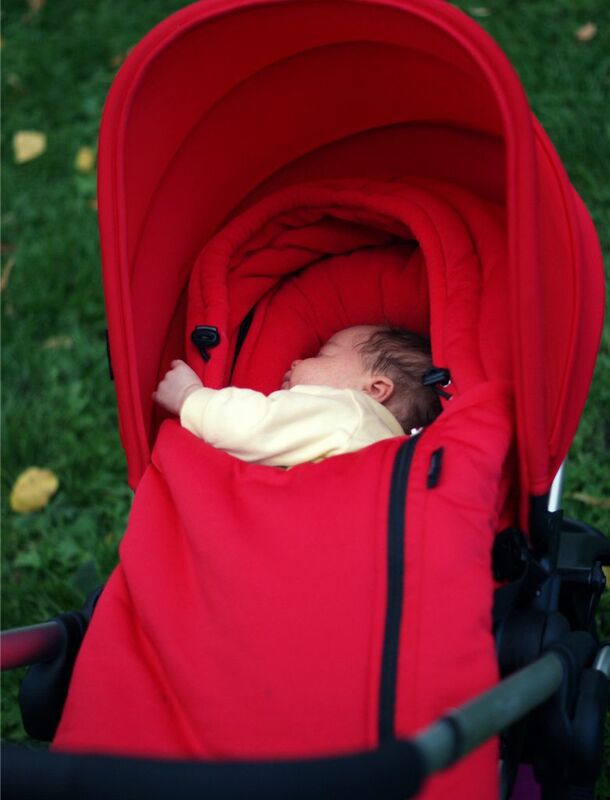 We’ve been using the cosy newborn pod with the Raspberry instead – it’s a thick, fleecy sleeping bag that can be slotted into the buggy and easily removed, too, if you want to transfer a sleeping baby. As we now have two children, I did umm and ahh over getting a double buggy – in fact, we actually have a hand-me-down Phil & Teds, but I found it too big and heavy (although it’s a great solution if your older child still needs to go in the buggy all the time). 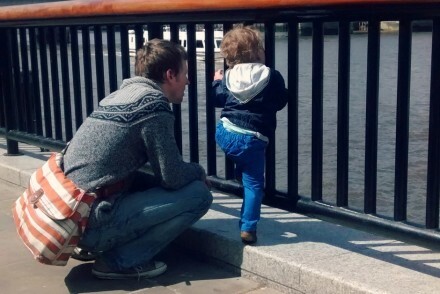 George is nearly three now, though, so (with a lot of persuasion) he can walk most of the time. However, I do like that the newborn pod can be easily removed if he does need to go into the Raspberry after a long day, or if we’re travelling (Thomas goes in the sling). It’s worth pointing out, though, that although the Raspberry’s weight limit is 25kg, George only just about fits into it now (at 15kg) and his legs do sort of hang out the bottom and I’m amazed (and relieved) that he’s not ripped the hood yet… However, for occasional use, the Raspberry is great for him and he loves going in it – he’s even managed a couple of naps in it. 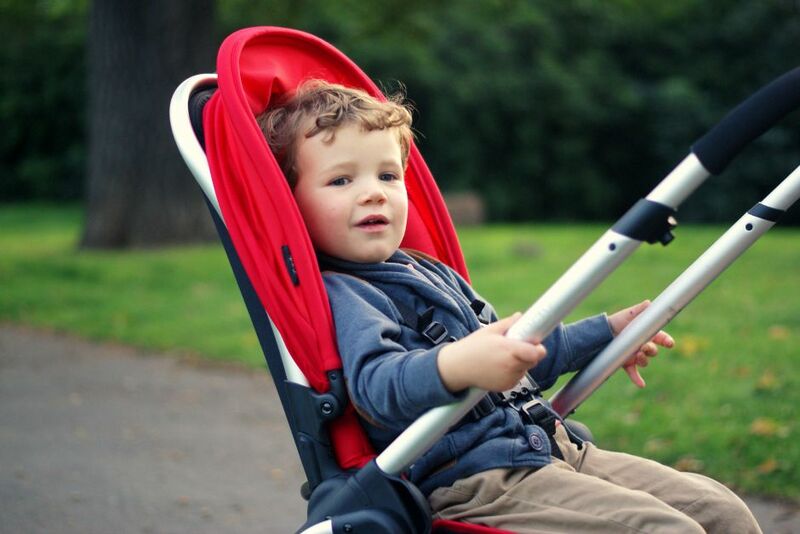 We’ve been lucky enough to have inherited most of our buggies to date and so have been able to try out a few, including the Bugaboo Bee, the Phil & Teds Dot and a Maclaren. They all have their pros and cons, but if, like me, you live in the city, rely on public transport and do lots of walking, then I’d really recommend this buggy. Plus, it looks pretty good too! Would you/did you go for a double buggy with two kids or stick to one? P.S. 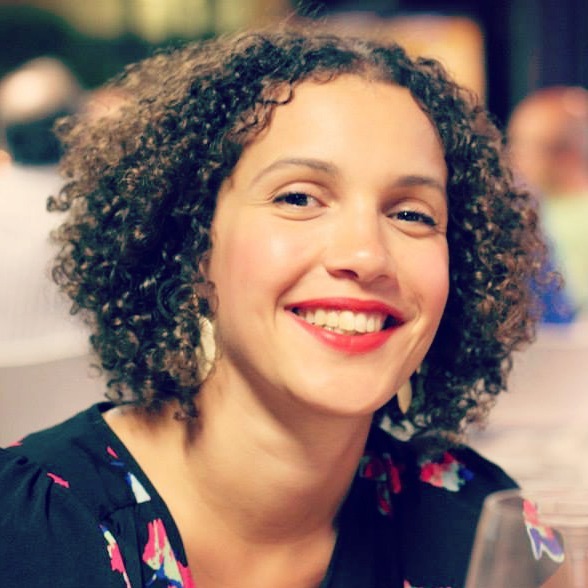 How to survive the first three months of parenthood, getting in the bath with your baby and our favourite baby products. What if daddy goes part-time?